Business takes a backseat when successful ad executive Emily Tate meets Richard Parker. He’s an accountant who’s been sent to keep her in line and under budget in her ad campaign for a sensual new perfume called Sizzle. And if Emily’s not careful, she could well melt in Richard’s hands. 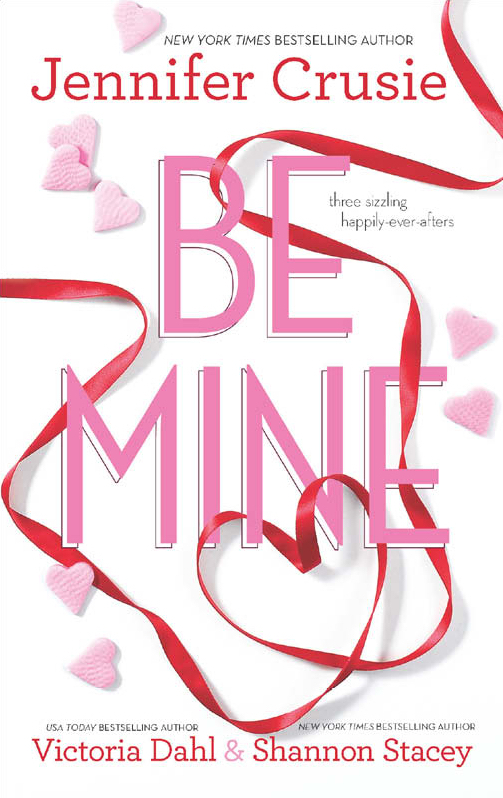 Recently reissued in the anthology, Be Mine. A long time ago, I decided I wanted to write romance novels and tried a businesswoman-in-the-city story called Sizzle. I didn’t like it, so I stopped after twenty-thousand words; that’s what happens when you try to write to what you think are the rules of the genre. I started my second novel (which became Manhunting) and tried to sell it, and in the middle of a thousand rejections, I found a novella contest that Harlequin was running. The deadline was only a week away, so I slapped an ending on Sizzle and sent it off, on the theory that they’d reject the novella and ask to see my novel. Never do that. They published Sizzle and rejected Manhunting (and changed their minds after many, many rewrites). That means that my first book (second published) is not exactly what I had in mind as a Jennifer Crusie. This is not a great book. (If it’s in a collection with other novellas, don’t judge them by Sizzle.) There are parts of it I still like, but frankly if I were writing this today, the businesswoman would end up with her secretary; they have a great relationship. You have been warned.